Inspired by the Ayleid ruins maps in Oblivion, this map seeks to capture that sense of adventure and exploration. It is a large two map pack with custom monsters and a new weapon. This was originally inspired by negke’s map “Skinny Norris” however I ended up not rigidly following the 768×768 rule. It is a medium sized map with more of a focus on atmosphere and slower paced gameplay than my usual style. Single Player and COOP map for the Quoth mod. While this map is supposed to follow ne_lend in story, it is designed to be played without any weapons from the previous map (in fact, if you do carry weapons over, they will be stripped from you). It features extra monsters and ammunition when played in COOP mode. This should be a challenge for 2 players and decent with 4. For a serious challenge, try playing it in COOP mode solo. The first map of the pair, The Living End is a large Single Player map for the Quoth mod. One of the maps I created for the release of the Quoth mod. It uses the green marble Doom2 textures and mixes in heavy machinery. It includes a short ending map as well. The second map I created for the release of the Quoth mod. This is a smaller map with a return to oldschool, traditional Quake themes. It features slower paced gameplay and a non-linear path. Q1SP – Chapter: Necros – Are you yet Living? Originally meant to be released for the Lost Chapters competition (the precursor to the Quoth mod), this map had some technical problems and couldn’t make it into the pack. I’ve since fixed those problems as well as tweaked gameplay and added a bit more detail as well as improved lighting. Q1SP – r_speeds be damned! Small to medium sized single player map for standard Quake. This map was made in the “geo comp” style where less ‘busy’ textures are used and brushwork is more complex than normal to create details out of geometry instead of from the textures themselves. Originally part of the Coagula Contest 2, it is now available here seperately. Medium sized metal/runic single player map for standard Quake. Takes place in ‘the void’. Originally part of the first Coagula Contest, it is now available here seperately. Medium to large sized metal/runic single player map. Takes place in ‘the void’. The third and final map in the “Midian” series. Possibly the largest map I have ever released. It uses metal/runic textures and includes new monsters as well as many other features. The second map in the “Midian” series. Uses Quake 3: Arena ‘block10’ textures as well as some Unreal ones. Large gothic themed map with some new monsters and a new boss. The first map in the “Midian” series. Medium to large metal/runic map. The first map I released that had a decent level of quality. 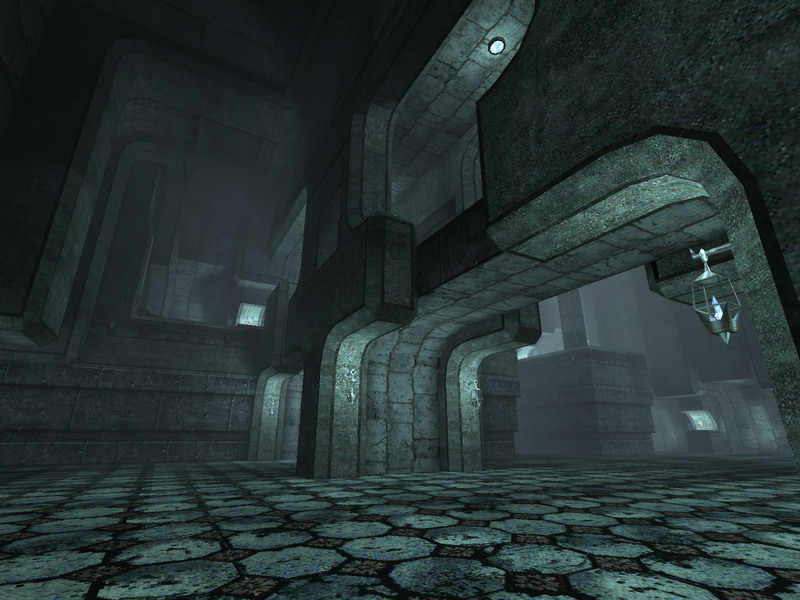 First publicly released Quake single player map. It’s actually a minimod which incorporated a lot of stuff from the (now ancient) ‘custents’ open source mod. The quality is so-so and likely the ‘extended’ version no longer really works. It was originally designed to be used in a very old (now) version of Tomaz Quake. I’m including it here for posterity. The download links on this page do not seem to be working. I was hoping to get a copy of The Moldy Tower. the download links still are not working – are the maps not available anymore? Even in 2019 quaker would like to download Moldy Tower and all the other stuff, but the links are still broken.